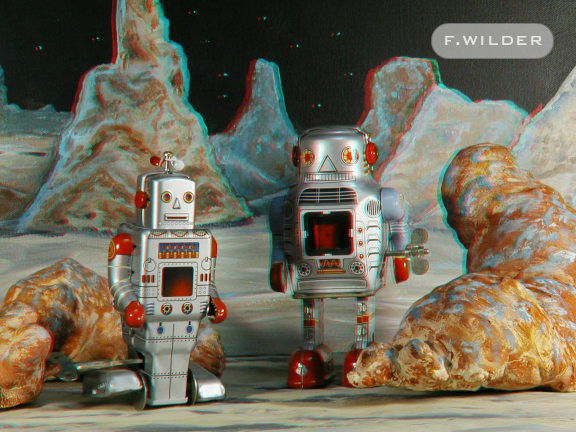 Two tin toy robots exploring a distant planet. Left to right is Speedy Robot, and Sparking Robot. Both are windup walking robots from Fred's collection.